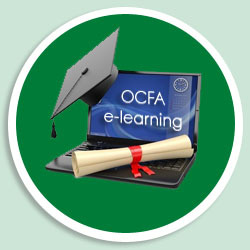 We are delighted to announce the launch of the first of our E-Learning Courses. The EU Regulation (852/2004 Hygiene for Foodstuffs) requires all businesses, where food is prepared, cooked and handled, to ensure that all members of staff have been adequately trained in food hygiene, according to their role. Whilst we have been running Chartered Institute of Environmental Health (CIEH) accredited training courses in this area for over 10 years, we are delighted to launch our E-Learning Course that enables delegates to learn in their own time and in the convenience of their own workplace or home. This course has been designed and developed by our own highly qualified food hygiene trainers and the syllabus includes avoiding food poisoning, improving personal hygiene, understanding food hygiene law and the importance of cleaning etc. to name just a few of the modules. Delegates should allow 2 hours to study and complete the course - each module contains multiple choice questions to confirm that the information is being understood and culminates in a final online exam. Passing the final exam entitles the delegate to a certificate confirming that they have reached Level 2 Award in Food Safety in Catering. There is also a Fast Track option available. This is ideal for those renewing their existing qualifications and for those already experienced in Food Safety. This course is ideal for nursery staff, schools, colleges and catering departments of hospitals and care homes. It is also perfect for those working in restaurants, hotels, fast food outlets, takeaways, cafés and bars etc. This E-Learning course runs on all PCs and Laptops running Windows 7 and above. A tablet version is currently under development. At ONLY £22 + VAT for the course, this is the fastest and most cost-effective way of achieving your qualification so please book today by clicking in the box below. We can also licence this course for multiple delegates so, if this would suit you better, please email us at info@ocfa.co.uk or call us on 01235 810619.